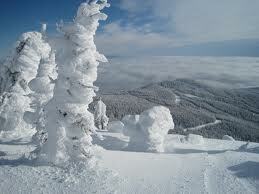 If you are into winter sports then Mt Baldy is your answer for a winter recreation getaway near Oliver, BC. Only a 35 km drive East of Oliver on a well-groomed road, a winter wonderland awaits you. Whether you like skiing, snowboarding, snow shoeing, or tobogganing, Mt Baldy is your answer.